Attracted by some of the world’s finest museums, breathtaking monuments, and a wide array of superb restaurants, Paris welcomes over 28 million tourists every year. Fortunately for those Parisian visitors, the French capital is outfitted with one of the most advanced public transit systems in the world. 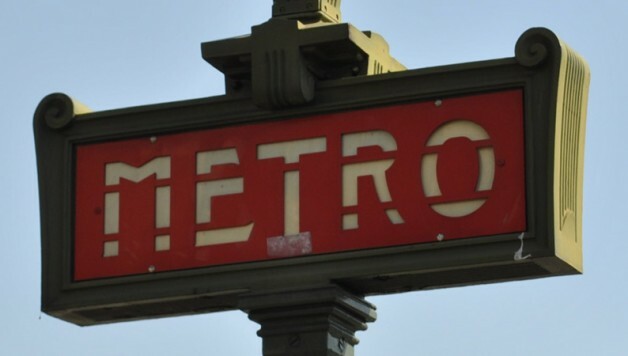 The Paris Métro system operates 16 rapid transit lines, with trains making stops at 303 stations. With around 4.5 million people utilizing the Métro system it could be difficult for newcomers to navigate their way around the city. Here are three can’t-miss stops for vacationers in the City of Light and some local attractions that can be found nearby. 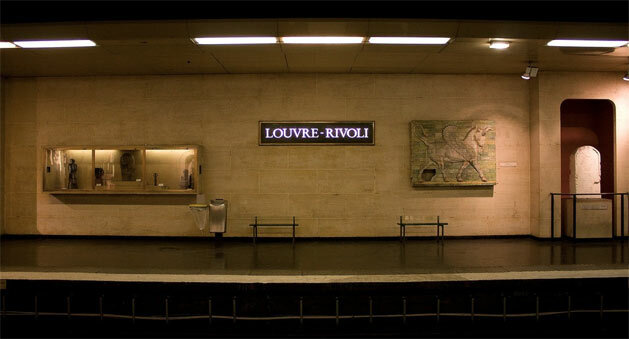 Tourists could spend hours sightseeing inside the Louvre-Rivoli station, as the platforms themselves are decorated with art replicas found inside the Louvre Museum. The Louvre is the world’s most visited museum with over 8 million art enthusiasts making their pilgrimage to the mecca of the art community every year. 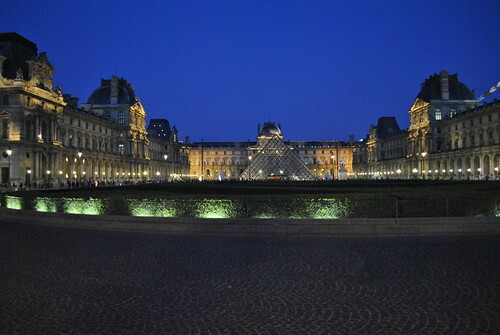 With over 35,000 objects on display, it would be impossible to explore the museum in its entirety in one day, so plan on making an appropriate accommodation in Paris prior to your Louvre excursion. Once inside, museum goers can choose from over a dozen cafes and food outlets conveniently located within the museum’s walls. Le Comptoir du Louvre and Le Café Mollien are two sit-down cafes for those who wish to share a meal with Mona Lisa or toast the Venus de Milo. Café Marly, located inside the Louvre courtyard, offers a daring, inventive menu and scenic views just steps from the Louvre Pyramid. 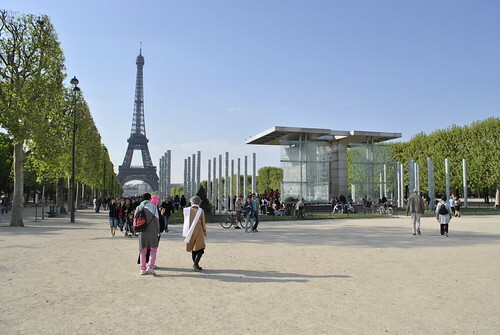 The famous Tuileries Gardens are home to many outdoor restaurants, where diners take in some of Paris’s iconic views. Café Diane is renowned for its international menu and exotic flair, while La Terrasse de Pomone specializes in homemade Parisian dishes, crepes, fresh produce, and decadent ice cream creations. Just a stone’s throw from the museum on Rue Saint Honoré, Café Ruc offers fresh coffee and friendly conversation during the week, and transforms into a hip nightclub come the weekend. For anyone taking a Paris city break, the Eiffel Tower, a national icon and the symbol of Paris, simply cannot be bypassed. The Bir-Hakeim station is the closest metro stop to Gustave Eiffel’s steel monolith. It is easily one of the world’s most recognizable images and over 250 million people have visited the structure since its debut at the 1889 World’s Fair. Using the Eiffel Tower as the backdrop for photos or climbing the tower to view the Parisian landscape are not the only things to do inside the structure. For those willing to shell out some significant cash, two restaurants in the tower provide memorable dining experiences and majestic views of the City of Light that are worth the price of a meal. Located on the first level platform, the appropriately named Le 58 Tour Eiffel serves traditional French fare 58 meters above ground. Even higher in the Paris skyline is Le Jules Verne, a Michelin star rated restaurant that showcases the modern French creations of world-renowned chef Alain Ducasse. Understandably, the two Eiffel Tower restaurants are some of the most popular in Paris, so prospective diners should consider booking weeks in advance. Other eateries near the shadow of the Eiffel Tower include Les Cocottes, a chic café serving up modern comfort food. Café Constant, a neighborhood bistro, is perfect for spontaneous travellers, as they do not take reservations. Alain Milliat, the area’s lesser renowned but still noteworthy Alain, opened up his self-titled restaurant featuring a colorful menu that showcases his delectable juices and nectars. Eiffel Tower visitors should also try the seafood specialties at Les Fables de La Fontaine, as well as the deep-fried morsels at its sister restaurant Pottoka. For tourists on a budget, or perhaps those seeking a casual, yet romantic date, creating a memorable picnic in picturesque Champ de Mars is a perfect alternative to the sit-down restaurant. The Charles de Gaulle-Etoile station lies at the heart of Charles de Gaulle Place, the epicenter of 12 of Paris’s most illustrious streets and avenues. Towering 50 meters above Avenue Champs-Elysées is the Arc de Triomphe, another must-see Paris attraction. Many of Paris’s top hotels, restaurants, and shops are located in the vibrant Champs-Elysées neighborhood. Shopping options range from global brands to famous designer boutiques to local neighborhood shops. The same can be said for the gastronomic establishments around Charles de Gaulle Place. Some of the world’s premier chefs sharpen their culinary chops in Paris’s West End. 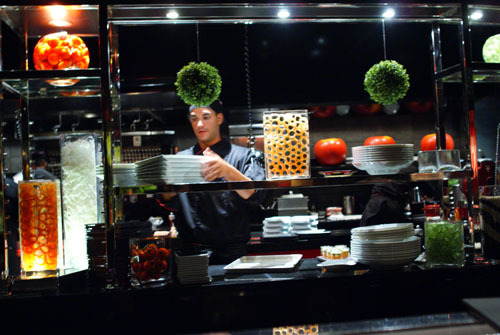 L’Atelier de Joel Robuchon is consistently voted one of Paris’s best restaurants, as is Restaurant Guy Savoy which is rated a three Michelin star restaurant. Travellers needing a rest can lounge in one of Fouqet’s posh leather chairs that have been sat in by some of the world’s biggest names. The restaurant has seen so much history that it is a French Historical Monument. Portions are small and prices are high, but the atmosphere cannot be beat. Visitors would be remiss if they bypass La Maison de I’Aubrac, an organic steakhouse that pairs their cuts of beef with over 800 French wines. For a more affordable option, try Chez Clément, a relaxed, quaint bistro. And no trip to Paris would be complete without sampling the city’s rich history of refined desserts. La Maison du Chocolat will not disappoint anyone with a sweet tooth looking for some French decadence.